Today’s card is another one using the burnishing technique and the Secret Garden stampset #129144 from the Stampin Up spring catalog. 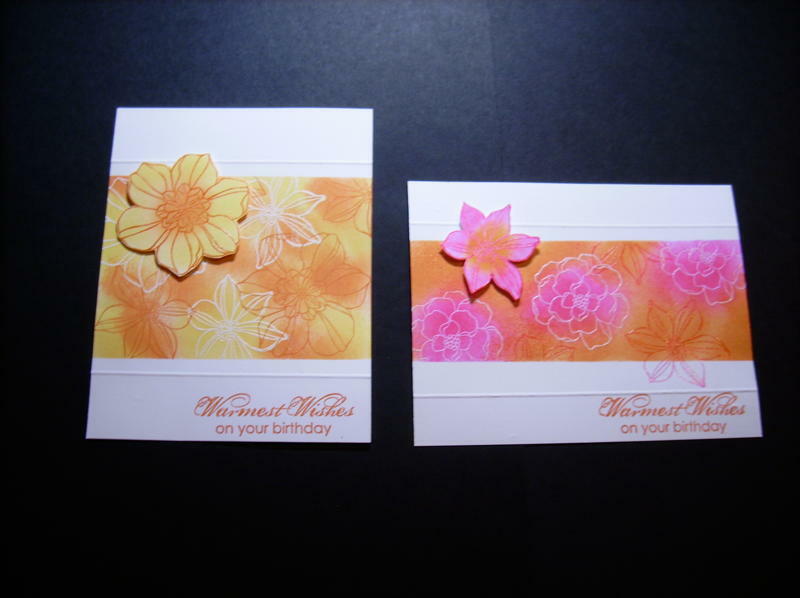 Cammie used the color pallette of daffodil delight and pumpkin pie to sponge onto the embossed images. The popped flower is cut out using the Secret Garden coordinating framelits #129372. Check out what a difference changing the inks can be to create a completly different look. Happy Birthday to our friend, fellow blogger and Guest Designer Yvonne Crook. 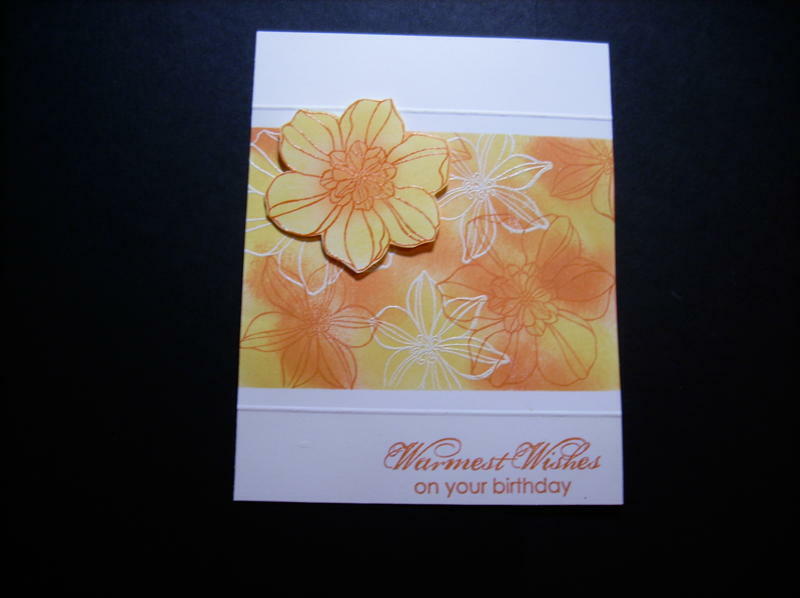 Today’s card is the birthday card that Cammie made for Yvonne. The card uses the Secret Garden stamp set #129144 from the Stampin Up spring catalog. Cammie masked off a strip using post it notes and then embossed a few flowers randomy and then sponged (burnished) with Tangerine Tango and Melon Mambo inks. 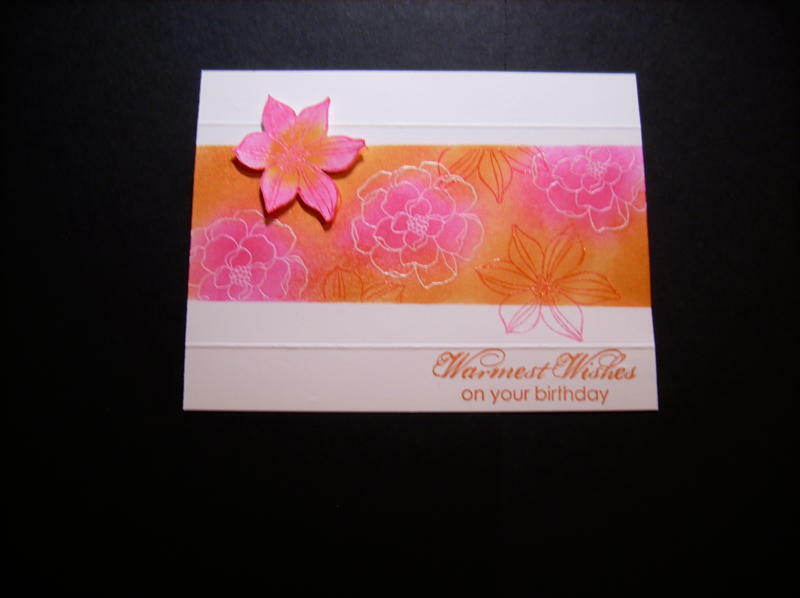 Once she got the desired look she removed the masks and stamped more flowers added the sentiment and popped a flower to complete the beautiful card for a beautiful friend.